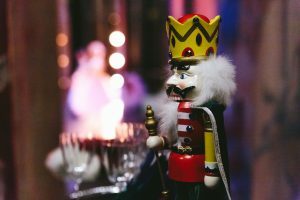 Join Southwest Ballet Theatre for a West Valley holiday tradition; Tchaikovsky’s ballet The Nutcracker! Southwest Ballet Theatre enjoys their 4th year performing Tchaikovsky’s full length ballet The Nutcracker under the artistic direction of Melissa Zervas Hahne, with choreography and staging by Daniel Baudendistel. The Nutcracker takes place at Estrella Mountain Community College’s Performing Arts Center, located at 3000 North Dysart Rd in Avondale. Will call opens an hour before performance time and the house opens 30 minutes before the performance. Online ticket sales end 3 hours prior to show time (4pm Thurs-Sat and 11am Sun), but are available for purchase at the door.